Our club has a history of excellence. Since it began in the early 1920's, the Club has been involved in the promotion, organization and development of soccer at the youth level in the Municipality of West Vancouver. The adult portion of our club has a tradition of producing championship teams, and now we are combined into one club, West Vancouver Football Club, WVFC. The goal of WVFC is to create a comprehensive "cradle to grave" soccer program that will enable players of all ages and playing levels the ability to enjoy the Beautiful Game. The Club has an office in the building at Ambleside facing Marine Drive at Ambleside B grass field. WVFC is proud to have been granted its BC Soccer Club Charter Standard 1 Standing and aims to become a Standard 3 club in the next few years. 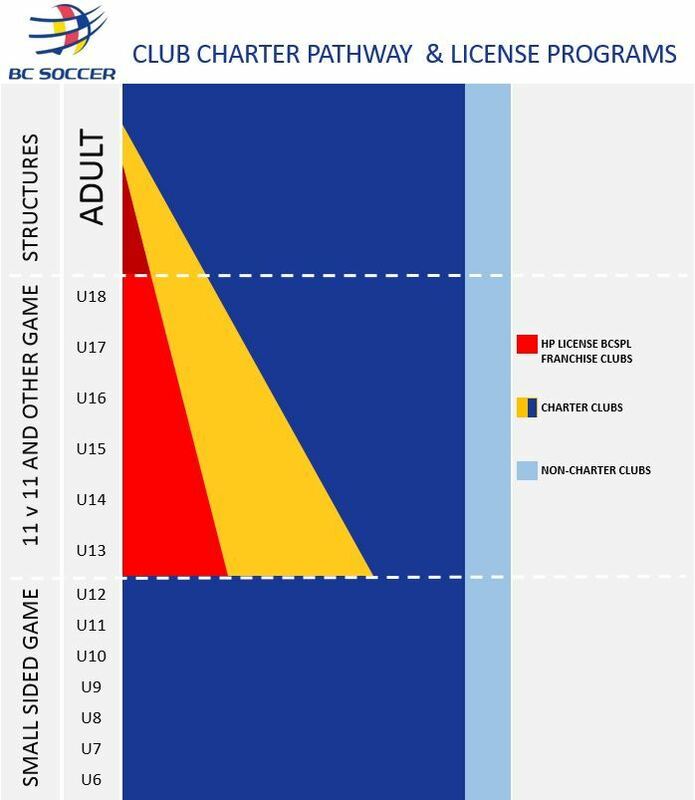 The BC Soccer Club Charter Program has been developed to provide support for clubs and to ensure clubs are meeting set standards to further enhance the development of players, coaches, referees and parents at the grassroots level. As one of our players, we collect non-public personal information about you to allow your registration for various soccer activities. Examples of this type of information include your name, address, telephone number, birth date; B.C. Soccer Association registration number and other personal information. In some cases, we may also receive information about you from others (for example, in relation to disciplinary matters or other matters referred to our Board). We share certain information we collect, as described above, with non-affiliated third parties such as British Columbia Soccer Association and its officials to allow you to participate in activities, under their auspices and local governmental authorities, to enable us to obtain access to recreational facilities for the purposes of soccer activities. Except for such purposes and as required to allow you to participate in soccer activities we will not share the information with non-affiliated third parties without prior notice to you. Mark Watson is an iconic figure in Canadian soccer. 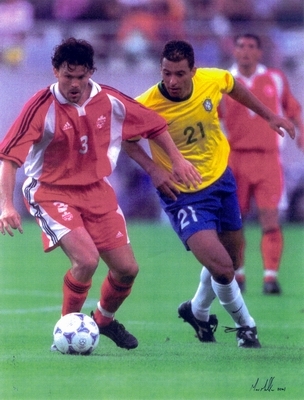 A former captain of Canada's National Team, Mark made 77 appearances in international matches between 1991 and 2004. These matches included a wide range of important games, from World Cup qualifiers to key regional tournaments, such as the CONCACAF Gold Cup. 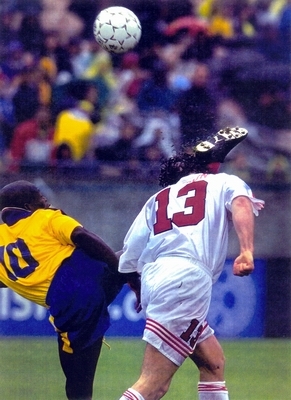 One of the notable highlights of Mark's international career was his participation on the Canadian team that won the CONCACAF Gold Cup in 2000. In that series Mark scored a key goal in the semi-final against Trinidad and Tobago that Canada into the Gold medal game. He is currently Canada's 2nd most capped, national team player. Mark also had a distinguished professional career. 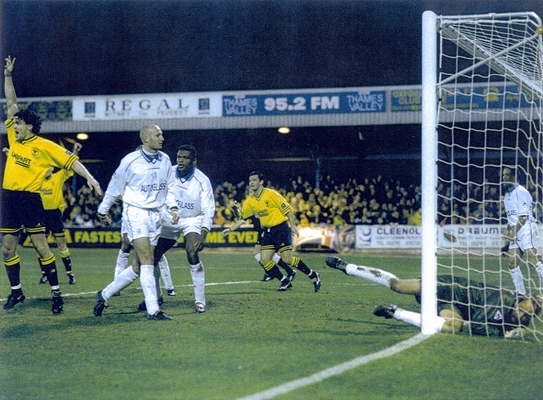 He played in Europe over 7 seasons, including two season with Watford in England's first division, two seasons with Oxford United in England's second division, 2 seasons with Osters of the Swedish First Division, and a Stint with 2nd Division Oldham. In addition, Mark played professionally in Canada, beginning with the Hamilton Steelers of the CSL, before moving on to strong USL A league teams, the Vancouver 86ers, Seattle Sounders, and Charleston Battery. During his professional career in North America Mark has been named a first or second team all-star on 5 different occasions. Mark is currently an assistant coach with Charleston, the first stop on what is sure to be a distinguished coaching career. The West Van Football Club is proud of the role our club has played in Mark's soccer journey. Like many thousands of other players in the history of our club, Mark started as a West Van pee wee player, on a team coached by his dad, Keith. That team, the U7 Glenmore Gunners became the core of a team that Mark played with until U14, when he began to play for the North Shore Metros. In his final year of high school, Mark got recruited to play in the Vancouver Metro men's league, with the West Van Trollers. Interestingly, Mark didn't set out with a clear intention to become a professional soccer player and coach. He was a top basketball player on the North Shore and he played both basketball and soccer though high school. He went to Cap College and was playing basketball on the Cap College team, when he was recruited to play for the BC Soccer Summer games team tour of China. Mark's play impressed everyone so much that he was later selected for Canada's U23 National team, and by the time Mark left Cap College to go to UBC soccer had become his number one sport. Canadian soccer has been all the better as a result of that decision. Our club congratulates Mark on his accomplishments and we are anxiously waiting for the day when he's back here, coaching a mini team of his own! Once a Spuraway, Always a Spuraway! Click here for a great story, the achievements and the accomplishments of Mark Watson!